From korma to carbonara, world cuisine is big business in the UK grocery sector. And this morning (17 June), just-food travelled to St Albans, a few miles north of London, to hear what plans the country's largest food manufacturer had for the category. 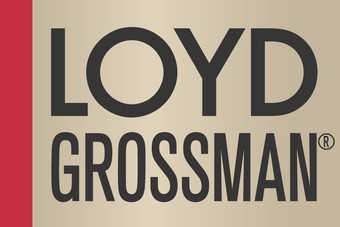 Premier Foods, which owns the ethnic cuisine brand Sharwoods, laid out its plans for its more upmarket Loyd Grossman range. Due to an embargo being rather quaintly placed on the news, unfortunately we cannot report on Premier's plans until the weekend. However, Loyd Grossman himself was present to wax lyrical about the developments for his namesake brand - as well as tell just-food about his band The New Forbidden ... and their upcoming set at Glastonbury. For all you Glastonbury goers, Loyd's band is on at the Avalon Cafe on Monday morning (28 June) at 1.30am. I am heading down to the festival - in a personal capacity - so perhaps I'll stumble upon The New Forbidden's set. We will, however, be covering Loyd's latest moves with Premier on Saturday, so stay tuned for that.